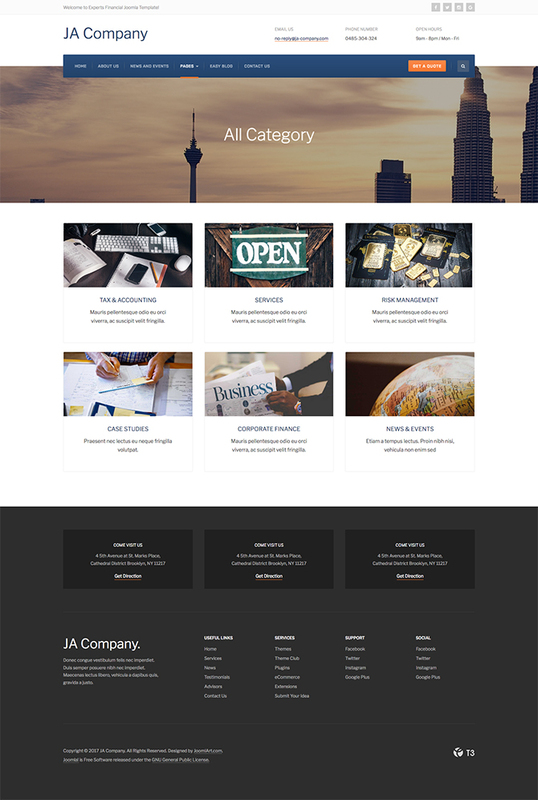 This month, JoomlArt team will release JA Company Template – Joomla template for company website and can be used for Business website. The template also integrates our featured product – JA Builder to help you create stunning landing pages (multiple pre-made landing pages will be included in demo and quickstart), it is built with T3 framework and supports EasyBlog component. These pages are in developement, we will update all by Monday next week. Nice work for a change. I could go on whine about more creativity but i already see some change in how menu is used so i’m happy with it. keep evolving! Only wish my asnwers in the forum would be answered for a change or comments will be replied to. I would like to know the feasability of creating a e-mail template in acymailing to fully support acymailing in this template. Now it is only marginally supported by the front-end but if you actually want to use the acymailing component you will need very good css skills to make it looks decent. As you know e-mail styling is a nightmare but your CSS guru’s will be up for the task. Your userbase isn’t. I would really like a reply to this. How do you propose to utilise this template? From within Acymailing I assume? I agree it would be nice, but I can also see it getting complicated. This is because people inevitably customise the template to their needs using the excellent tools JA provide in the back end, people change the logos, the colours and many other things. As it is not possible to control Acymailings template system from outside its package this would mean JA customers having to modify manually the code of their email template to get things to match. I too would like to see email templates, but I fear it would cause a lot of confusion as well as support requests. when will this template be published ? Hello schlogo – it will be released April 2017, according to JA. HTH! 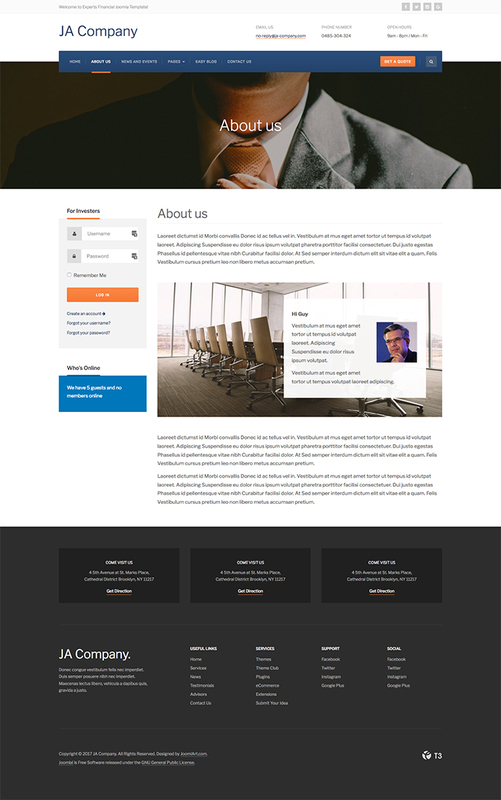 I like this template, but the menu could have done better if designer did it like the joomlart home page. Pero tiene algun costo o es free?? 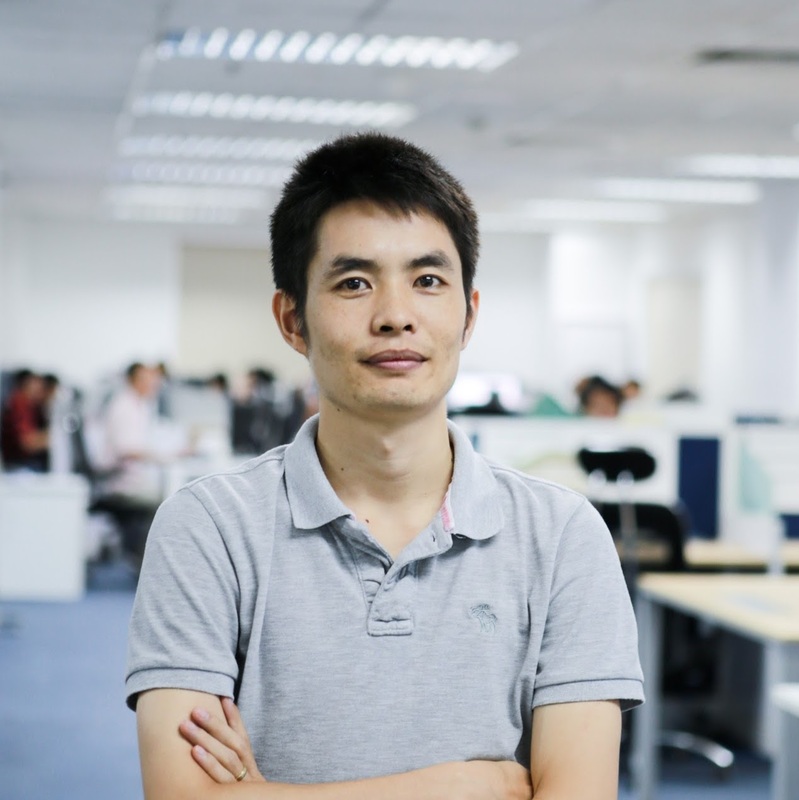 Good timing, with all youor work on builder I was worried you might stop producing templates. I have a customer in mind so look forward to the relaese soon. I do like the low key but impresive video player option.